We are here to support missions. 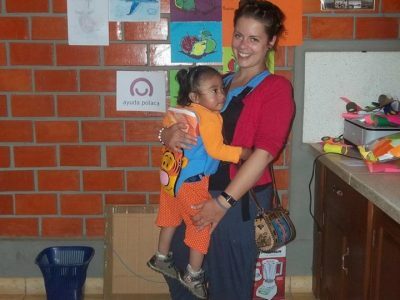 We offer our time, knowledge and skills to serve those most in need in Africa, South America, Eastern Europe or Asia, through volunteering in Poland and abroad. The most important missionary volunteering work is sharing the testimony of Christian life of the lay-people. Living among those to whom we are sent, we perform specific work for others and we are the living witnesses of Jesus’ love. Because missionary volunteering is “The Gospel in Action”: forwarding the message of the Gospel to people through activities that meet the most urgent needs of others. What can you do in Poland? 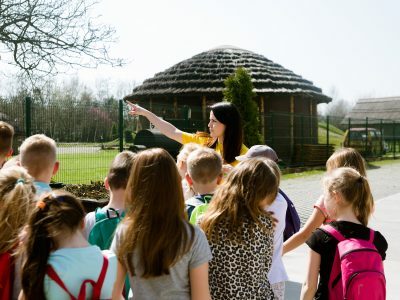 As a volunteer you can help with or lead a workshop for children and youth in The Villages of the World – Global Education Park or organize meetings in schools. It’s a chance to give them the knowledge of the culture and the problems of the poorest countries in the world , and also draw their attention to how they can affect it to make the world a better place. You can get involved in making movies, running a website, editing texts, or contacting the media. Equally important is the distribution of leaflets, mailings by e-mail, or clicking on facebook to share our actions. Anyone can do this, regardless of time or place of residence! You can get involved in the planning, logistics, technical support, animation, and promotion of events organized by us. The biggest of them are Orava for African Kids and Day of Gratitude. We also organize other smaller meetings and events, each of them having something for you to do! On Sundays we visit the parishes where we share our testimonies of missionary work. 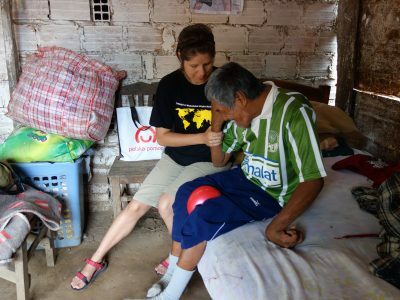 We ask for prayers, and encourage engaging in missionary volunteering. 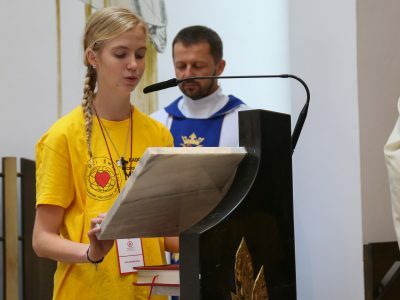 During each so called Missionary Sunday you can help with the distribution of materials on the missions, collecting funds, or animating the liturgy of the Holy Mass. If you know a foreign language well, especially English, Spanish, French, Portuguese, Italian, Russian or German or Arabic you can remotely translate texts on web pages, project descriptions, information texts and promotional activities. Every day, you can visit the Krakow office, where you can help with the administration of our activities by: keeping- records, archiving pictures, and by willing to help with other everyday duties. We always look forward to those who want to help with writing project applications. Departure for misions to Africa? What can you do on missions? We work with children and youth. 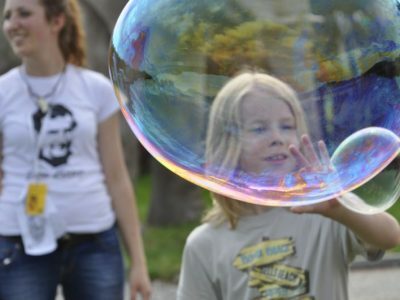 We are carers in children’s homes, boarding schools, educational care centres. We organize time in Salesian oratories and day-care rooms. We work with street kids and we take resocialization actions. 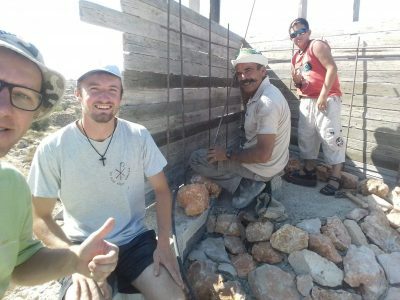 A carpenter, mechanic, locksmith, electrician or a builder: these are very necessary proffesions in mission countries. Vocational secondary education that we provide for youth people is the best investment in their development and it gives them a chance for better life. We support mission countries by the work of doctors, nurses and physiotherapists who provide the poorest countries’ inhabitants basic medical care and an access to professional assistance,also, they train local specialists. As part of the departure, we realize projects of building wells, schools, nursery schools, youth centers, clinics. We organize preventive actions and trainings, we also equip educational and medical insititutions. Learning is the key to the future of every young person, that’s why we are present at schools on every level of education, among organizers of cultural activities, leaders and teachers, to share our knowledge, teach and give tools to develop your own opportunities locally. As a mission volunteer, you take up the challenge which Jesus Christ left: ”Go into the world and preach the word of God” (Mat 16:15). Everyday’s attitude, serving God and values that you believe in should be a guiding light and your good testimony. Are you thinking of joining us? Everyone, who wants to be a volunteer and find out more about us, is invited to taking part in our introductory meetings which are held just before every all-Poland convention in Krakow. 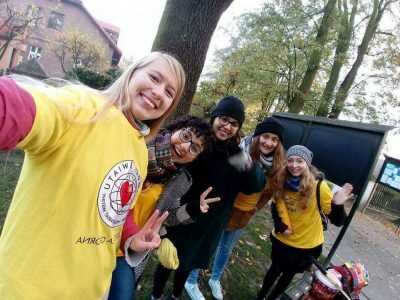 Volunteers from Krakow, Poznan, Wroclaw, Swietochowice and Kielce are invited for every-week meetings, during which, among other things, we divide tasks for the nearest time and we prepare for our everyday’s work and mission departures. Once a month, open weekly conventions for volunteers from all over Poland are held. They enable us to prepare better for missions in Poland and abroad, get to know one’s mission way and, simply, get to know each other better. Who are these Salesians? What does ' Salesian' mean? Salesians, actually Saint Francis Salezy’s society, is a religious congregation established by an Italian priest, Saint John Bosko, who sacrificed his life for work for the poorest chidren and youth people. Today, Salesians all over the world work in schools, oratories, day-care rooms, young offender’s institutions, they work in parishes. A Salesian is a person devoted to work for the needy children and youth people, basing their actiivities on faith, love and wisdom. Can I join if I don't want to embark on a mission? Yes! We invite everyone who is bursting with bringing selfless help to the mission. In Poland we take many actions, from which you can surely choose something for you. A departure fo missions is only one of our possible ways to help missions, but oftenly, in order to have one volunteer working on a mission, we need as much as 30 here! We are waiting for you! Can I join if I'm not eighteen? Yes, in Poland you don’t have to be eighteen. Everyone can make a good use of their abilities and skills, working for missions in Poland. But to embark on a mission, you have to be of age. I don't live in Poland. Can I be a SWM volunteer? There are a lot of offers of, so-called, ” remote” involvement in our organization’s actions, being abroad or in distant towns. And there were people, who, living in, for instance, Manchester, regularly took part in our meetings, supported our actions and then embarked on missions. Can I join if I am not religious? Yes. We are a community open for everyone who wants to help missions. You should be ready to devote your time for specific tasks and feel good among us, knowing that the essential part of our way is a spiritual and christian formation. We invite you! Is participation in meetings compulsory? Yes. The more you engage in participating in meetings, the more you’ll benefit from it in your formation and preparation for a departure. What can be done in Poland? What do you do on missions? Embarking on a mission is mainly connected with bearing faith witness, performing everyday’s life duties. These depend on the character of a particular departure and leaver’s competences. Volunteers work as carers, teachers, organizers of cultural life in oratories, educational care cetres,boarding schools or regular schools. They function as coordinators or they supervise projects of builidng schools, nursery schools, clinics. As doctors, nurses, physiotherapists, they take part in medical mission departures. Will you conclude a voluntary contract with me? We always conclude a voluntary contract with every volunteer who embarks on a mission. It isn’t compulsory for volunteers in Poland,but if, in the future, you would like to get a voluntary certficate or show your commitment to the future employer- we warmly recommend it. Firstly- contact volunteers’ coordinator ( wolontariat@swm.pl). Then take part in weekly and/or monthly meetings. Engage in organization’s activities and write in an application form that you are willing to embark on a mission. Your application will be then examined by the right people from the organization. We invite you for weekly and monthly volunteer’s meetings, during which you can find out more about organization’s activities and take on suggested tasks. What do I have to do to embark on a mission? 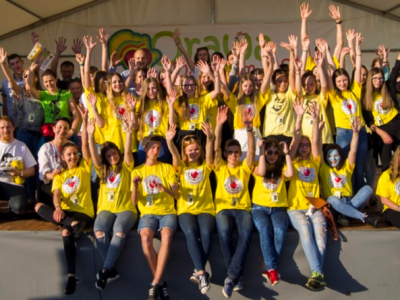 Firstly- contact volunteers’ coordinator (wolontariat@swm.pl). Then, take part in weekly and monthly volunteers’ meetings. You should absolutely engage in organization’s activities, and, after going through the period of formation, write in a special appication that you are willing to embark on a mission. Your application will be then examined by the right people from the organization. How long do I have to prepare for a departure? The minimun formation and preparation-for-a-departure period, which includes taking part in weekly and monthly meetings and volunteer’s commitment, lasts at least one year. How long can I be on a mission? Most of departures lasts about one year. In case of a special request or organization’s need, it can be a period from two months, but we prioritise long-term departures. How much a departure costs and who pays for that? Embarking on a mission for a period longer than six months, a volunteer covers half of flight’s costs, insuarance, visa’s and vaccination’s costs. Volunteers embarking on shorter projects cover all ,not half of listed costs. Our organization provides food, accomodation and pocket money. Volunteers also try to raise funds to help carry out institutions’ missions, trying to raise them from European Committe’s programmes means or Ministey of Foreign Affairs( with our organization’s support) or looking for individual sponsors. We want to be true mission’s donors! Can I choose where I'll embark on a mission? The place of departure depends mainly on current needs ,which are declared by mission institutions, on language skills and volunteer’s competences. The list is open. So far, our volunteers worked in African countries (including Ethiopia, Ghana, Kenya, Liberia, Malawi, Nigeria, South Africa, Sierra Leone, South Sudan, Tanzania, Uganda, Zambia, Zimbabwe), South America countries (Bolivia, Peru) and Asian (Israel, Mongolia), also in East European ones (Ukraine, Russia). What languages do I have to know to embark on a mission? A volunteer embarking on missions has to know the language which is spoken in a particular country. In the case of most African countries this is English, in South America- Spanish. We don’t require the knowledge of local languages. You have to learn the language on your own. Do you need to have a certificate? A Certificate of language is not needed, but just before going on a mission, everyone has to pass an interior exam, adjusted to the work and level which is necessary. I have worked in other organization. Is it enough to go for a mission? No. This is a wonderful beginning, but it is obligatory to be active in Salesian Voluntary Centre before going for a mission. All the recommendations and practice are most welcome, but they are not sufficient. Who shall I contact with? Do you have an account on facebook? Read the blog from the mission! To be a volunteer- what advantages does it have? When you work in a voluntary organization, you gain the possibility to learn, try yourself in different fields, explore your capacity in various undertakings and situations. Voluntary Service is an amazing opportunity to meet new, extraordinary people, who will definitely share our passions. This is also a chance to build up friendship, new relationship. This is a community based on common help. We are passionate about spending time in a creative, active way. Good to know that what we do, even a little thing has a meaning. Every day we meet people who are grateful for the work or for being a witness of God’s love. Through the time of our observation of the volunteers on the mission, we know how much you can gain and possess the unbelievable treasure. Definitely, it is not a waste of time! The feeling that someone may have the chance to go to school, can be treated in dispensary or hospital, has the possibility to drink pure water or just eat and finally not feel hungry is priceless. It becomes your personal success which cannot be measured as well as unending satisfaction. The smile of a person whom you have helped defies description. It’s for free, moreover priceless element of our voluntary work! Do you want to join us or have more questions? Don't hesitate! If you like to write an e-mail, feel free! Use the Contact formula. If you fancy chatting by phone, call us: +48 12 269 23 33. Father Krzysztof Cepil is a coordinator of the volunteers in Cracov . HERE you’ll find the other contacts in different cities. If you feel like talking face to face, fix the meeting in our office or just pop up and join us in one of our meetings- weekly or introductory. Up above, see the schedule of the meetings, and HEREcheck how to find us.